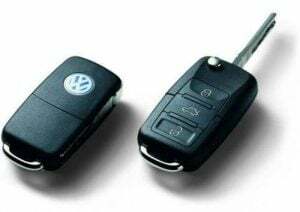 Electronic car keys also called key fobs are extremely useful in controlling your car’s doors, trunk, alarm and can even remote start your car from a distance. Like any other electronic device, these key fobs can malfunction after some time typically due to signal loss. However, in such a case, you can easily reprogram the remote yourself and use it. In this article, we will explain you step-by-step how you can reprogram your car key remote so that you don’t have to take it to an auto-dealer and spend your precious money. Different cars have different ways to reprogram the key fobs. The process mentioned down below is the simplest way to reprogram any remote in general. This guide works with the most cars on the market, but sometimes you need to find information for your exact car model. You can find more specific information about your car’s remote from the owner’s manual. Before you are doing anything, replace the battery in the key fob/s if you haven’t done so for a while. A bad key fob battery can give you a real headache while you are trying to reprogram it. The batteries are often cheap and easy to replace also. Check your owner’s manual if you do not know how to replace them. Get in the driver’s seat with your car keys and the remote and close all the doors. Closing the doors is very important, as it may disturb the process if you are not doing it. Once seated, insert the keys into the ignition and turn to ‘On’ position so that the electrical systems are powered. Make sure that the ignition is not in the radio mode, and do not start the engine. With the key in ‘On’ position, press the lock button on the fob and turn the key back to ‘Off’ position. Repeat this process at least three times ending the cycle with the key in ‘On’ position. This sends an indicator to your electronic control units that it’s your key in the ignition, that’s sending out the signal, and it does save the data afterward. Once you have repeated the above process, you will hear the lock sound. This indicates that you have entered the programming mode. Once this is done, press the lock button again within five seconds, and the programming will be successful. If there are additional remotes, press the ‘Lock’ button within 10 seconds after you enter the programming mode to program those remotes as well successfully. Once the above steps are performed, turn the ignition back to ‘Off’ position to terminate the programming procedure. Take your key fobs with your and leave the vehicle and close all doors. Test to both unlocks with all your keyfobs that got programmed to verify the function. For some cars, reprogramming key fobs may not be easy, and in that car, specialist hardware may be required. Typically, we would suggest that you call your authorized car dealer to take care of the situation, but this can be expensive. 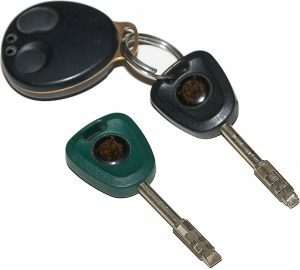 You can have your car remote key re-encoded from any other auto locksmith company or a mechanic workshop for a comparatively lower price and have a separate master key made as well. Creating a new master key may require a code card which can be found in your car’s manual. The car security can be divided into two categories – Car entry and Starting the car. In most of the modern cars, you are not required to insert keys to open the doors since they come equipped with remote locking/unlocking. The older car remote entry systems used RF systems which were not fully secure as their signal could be easily captured and played back to unlock and enter the vehicle. The modern entry locks use a more sophisticated rolling code system which generates a new code every single time. The receiver on the vehicle also produces the same code, so both the electronic devices are perfectly synchronized. Infrared systems were also used previously by some European manufacturers who required pointing the remote towards the car to unlock, but most of them have been replaced with RF technology now. Talking about starting the vehicle, traditional cars had a simple key lock system which could be unlocked from any similar key. This was convenient for thieves as it allowed them to drive away with any car easily. However, new cars are equipped with ECU technology as well as a transponder for added security. Luxury vehicles, on the other hand, can be coded according to the driver’s specification. For instance, vehicles such as Rolls-Royce have a memory function, and as on as the driver inserts the key, the seats, headrest, mirrors, and steering wheel are adjusted according to the driver’s settings. Manufacturers are now working towards removing the need for the key altogether and adding a fingerprint recognition system. The Transponder technology is apparent in many areas now that require security access and is now popular in modern automobiles as well. New vehicle keys now feature a transponder chip, and as the key is inserted into the ignition, the chip triggers by the radio frequency signal sent from the ignition barrel. The chip then transmits a signal to the car’s ECU which when found to be correct disables the immobilizer and starts the engine. If you want information regarding the key remote of any specific vehicle or if you are unable to reprogram your key fob, comment below and one of our trained technician will get back to you. Press the panic button for 1 sec while holding the Unlock button. Unfortunately, if these methods are not working you may have to let a workshop with the right diagnostic equipment to reprogram/repair it for you. There might be a problem with your keyfob. Any advice for a 2005 G6? I know everything I’ve read says I have to have it programmed by locksmith or dealership, but I’m a geek and chronic DIYer. I would like to learn how to program FOBs through ODB2. I have Telus Drive, but it won’t act as an interface, even if it reports errors and such like another scan tool. I have a couple of new FOBs for my Pontiac because the original was a universal remote and the battery tabs broke away from the circuit board and then it reset itself. (I got it working but now it isn’t synced with the key transponder.) Any advice on where to go from here with programming the FOBs? As it is, I can’t even manually unlock my door with the key without activating the alarm until I start the ignition. Oh, and thank you for your time. I really appreciate it.